Spotify is one of the best music applications on both Mac and Windows but the only drawback of the free version are the ads. As the application becomes more popular, the ads have increased a lot and Smutefy aims to reduce them intruding on your listening as much as possible. Smutefy is a small menu bar application that automatically detects and mutes Spotify ads. It doesn't actually block the ads - it simply reduces the volume when an ad comes on so that you don't hear it. However, you'll need to make sure that you have both Growl and Soundflower installed for Smutefy to work. Smutefy doesn't block Spotify Growl ad popups but it uses both Growl and Soundflower to monitor the application so that it can auto adjust the volume when an ad comes on. 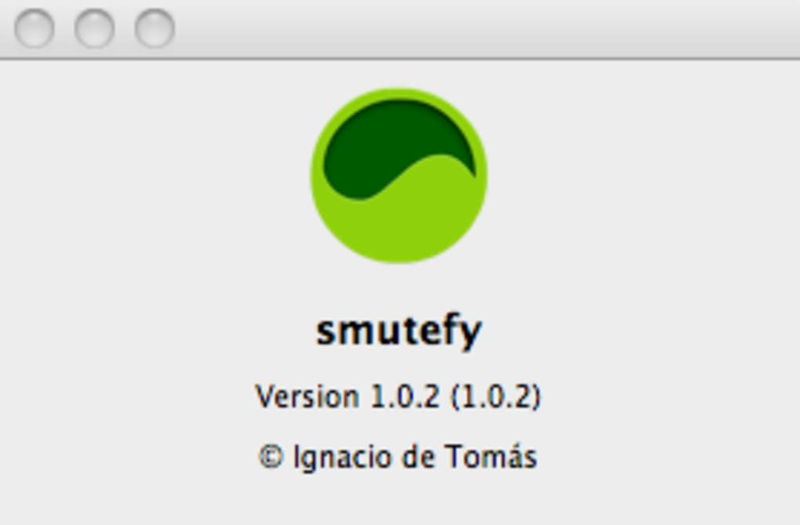 All you have to do to activate Smutefy is double click on it in your Applications folder. Smutefy then places a small icon in your menu bar. When an ad is detected by the application, the icon will change color and mute the system sound until the ad finishes. The only problem I found is that the first second of an advert isn't muted but then it kicks-in and all you hear is silence instead of adverts until the next track is due to start. Smutefy is an ideal application for all those Spotify users that prefer silence over adverts. What do you think about Smutefy? Do you recommend it? Why?